Hi! I'm Challenger (It's a nickname :p). I don't speak english as much, althrough I learned this language much reading a lot, including on this site, since I found back several years ago. Well, back on December 2010 (day 22, I think), when I watched a speedrun of Super Bomberman (SNES) on Google Video, I noted the url of TASVideos and when I entered for the first time, that was very surprising. I found several runs of lots of games (principally SNES, since is my favorite console that I played on emulator for years). On a short period of time, TASVideos changed my life because how much impressive is these runs! Well, I joined on TASVideos back on February 22, 2016, shortly after started DinoCity. 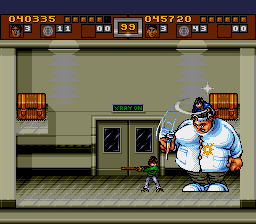 During the TASing, I learned better how to TAS and I improved with the good use of frame advance. 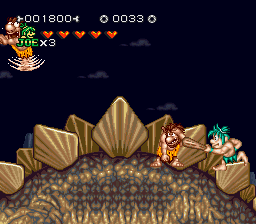 Also, during my work on the Wonder Boy in Monster Land, I also learned about RAM addresses and TAStudio. SNES Joe & Mac 2: Lost in the Tropics (USA) in 19:31.22 by Challenger. SNES DinoCity (USA) in 17:56.39 by Challenger. DinoCity is a platform video game developed and published by Irem Corporation for the SNES. 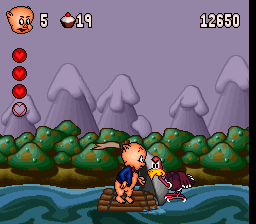 The game centers on Timmy and his friend Jamie, two young children who are accidentally transported to a world resembling prehistoric Earth populated by anthropomorphic dinosaurs. While a device which will allow them to return home exists in this environment, a critical component has been stolen by Mr. Big, leader of a gang of Neanderthals known as The Rockeys, leaving the player to guide Timmy or Jamie to his castle to retrieve it. They are assisted by Rex, a Tyrannosaurus, and Tops, a Protoceratops, each with their own playstyles. Using various tricks and glitches, Challenger manages to beat the game in record time. Please read the author's comments for more information on the tricks and glitches used. 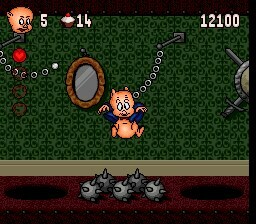 SNES Porky Pig's Haunted Holiday (USA) in 23:30.46 by Challenger. The story goes as follows: On the night before Porky Pig's vacation starts, he goes to bed. Asleep, he starts having nightmares where he meets various scary characters. In order to wake up, he must travel through all of the levels in the game. 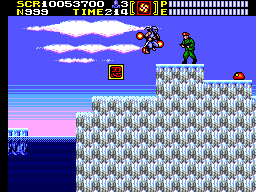 Challenger, using various tricks, runs through all the levels in record time. 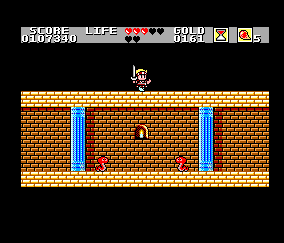 SNES Prince of Persia (JPN) in 33:31.2 by Challenger & Odongdong. 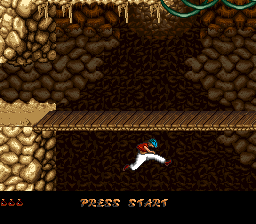 Another version of Prince of Persia... it has quite good music. 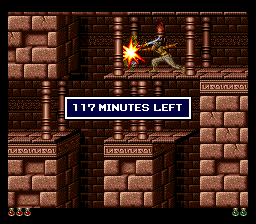 The gymnastic master, the future prince of Persia, defies the odds and beats this game in record time. 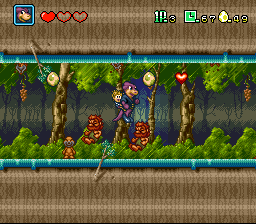 Interestingly, this game only animates at around 12-20 fps (15 fps on average), contrary to most SNES games, which animate at 60 fps. SNES Prince of Persia 2 (USA) in 09:18.85 by Challenger. 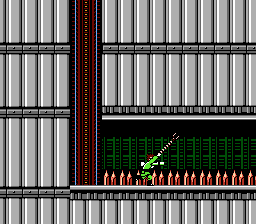 In this run, Challenger beats the previous publication by 1:53.28 due to several improvements, such as new glitches and skips, as well as better optimization. Genesis 3 Ninjas Kick Back (USA) in 10:57.3 by Challenger. 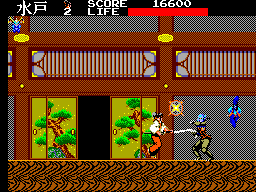 3 Ninjas Kick Back is a traditional platform game based on the movie of the same name. 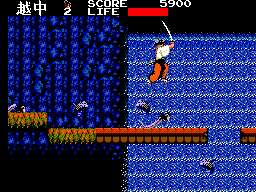 Each one of the three ninjas has unique weapons and abilities. All three of them can run, duck, crawl, climb, jump, as well as hang on trees, ropes, and so on. 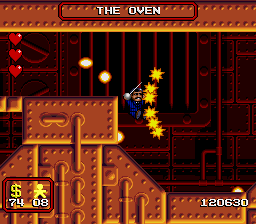 You'll encounter many obstacles and enemies, both regular and boss-like, which you'll have to overcome and defeat. Challenger clears the game in record time, thanks to a glitch allowing one to zip through walls. 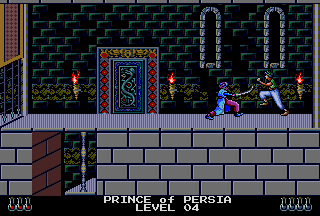 SegaCD Prince of Persia (USA) in 19:09.8 by Challenger. 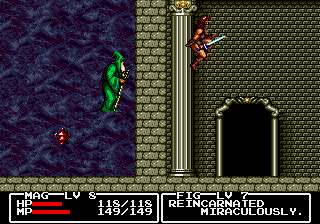 This run by Challenger, done on the Sega CD port of the game, defeats Jaffar in record time. 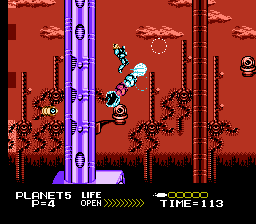 Challenger improves upon the previous publication by 13:48.81 minutes, thanks to the help of a demo glitch allowing the majority of the game to be skipped. Genesis Cadash (USA) "2 players" in 15:34.65 by Challenger. 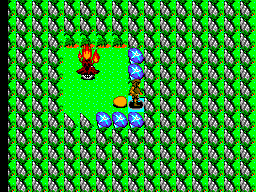 Cadash is a sword and sorcery video game which combines elements of both the role-playing video game genre and the platform genre. 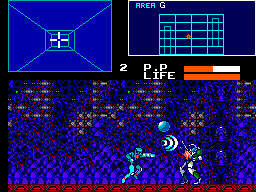 The game was originally released for Arcade machines by Taito in 1989, later ported to home video game consoles such as the TurboGrafx-16 in 1991, and the Sega Mega Drive/Genesis in 1992. 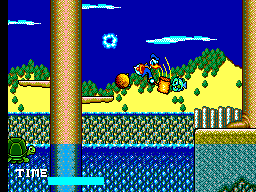 It isn't the most straightforward of platformers, seeing how you can actually gain levels and buy items in this one. 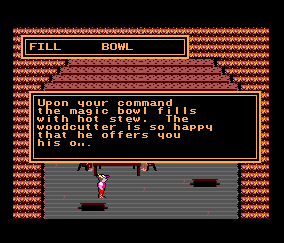 There are also mandatory items to fetch and quests to complete in order to advance. In this run, Challenger beats the predecessor movie from nifboy by 6:22.27 minutes. The improvement is so huge thanks to using 2 players, new tricks and glitches, better boss fights, and greater movement precision. 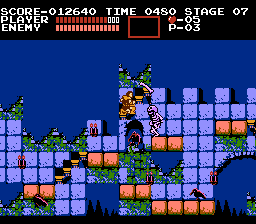 NES Castlevania (USA PRG1) in 11:15.11 by Challenger & Morrison. Challenger and Morrison improve the previous TAS by 3.92 seconds, thanks to several new skips, different strategies for 2 bosses, and a better turnaround trick. Please read the authors' comments for more details. 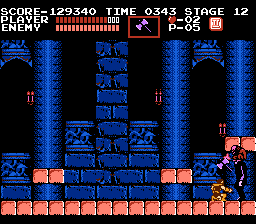 NES Castlevania (USA PRG1) "pacifist, minimalist" in 12:25.29 by Challenger & Grincevent. 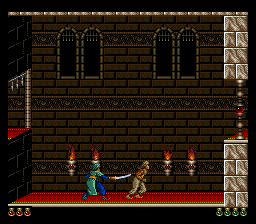 Simon is taking another shot at this castle, but feeling horrible for the destruction he caused last time, he is now trying to respect Dracula's property and leave the place untouched (even if his intention is to kill the count). 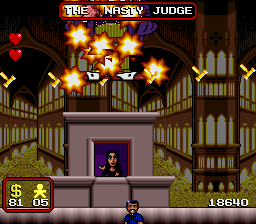 As a minimalist variation of a pacifist goal, this movie does not contain any destruction in the levels: candles and walls are left intact, items stay untouched, and no enemy is harmed — with the exception of the bosses, who are killed mercilessly with the help of the "critical hit" glitch. 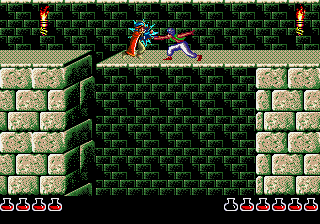 With Simon sneaking by most enemies with no subweapons and only his leather whip, this ends up being quite a stealthy run. Challenger and Grincevent improve the previous run by 28.12 seconds, thanks to better optimisation and better manipulation. Please read the authors' comments for more details. "SMS/GG runs that were made on Dega"
Some games that weren't done yet, but would look good. This page appears to be the personal page of Challenger.